Wether you can believe it, Missoula (or as it has been known since the 1980’s “The Zoo“) has a plethora of Metal bands – Walking Corpse Syndrome, Blessidoom, Universal Choke Sign, Beef Curtain, War Cry, Lazerwolfs (sp), Mahamawaldi, Darshan Pulse… just to name some of them. They are many and have been plugging away at semi-career’s in music for two decades. 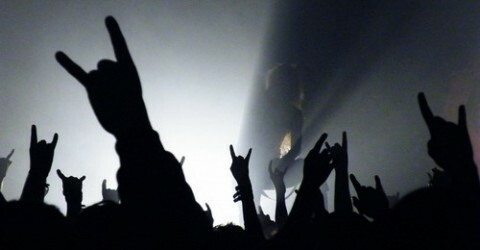 From traditional Metal to PopMetal to DeathMetal and HardcoreMetal, I believe it is time to give them some props for music and live shows they rock the ever-loving-hell-out-of-us with. Album reviews, live show reviews, and interviews with the bands, and, hopefully, recordings of their shows. I have hung out with a few of them (Holy God did they ever get me wasted!) and they are simply some very cool people who love Metal music and performing for their audience. I’ll keep it Metal! You keep it Metal! Together we can discover some awsome music and have our proverbial asses rocked to hell and back!